One of the greatest opportunities for us all to improve our trustworthiness lies in the self-orientation variable of the trust equation. Fortunately, there are specific things we all can do about that. Simply defined, self-orientation is about focus. It lives in the denominator of the trust equation as a way of highlighting (1) its ubiquitous nature and (2) its ability to quickly offset your good scores on the other variables. Alternatively, if the words that complete the sentence relate to you in any way, shape, or form, then you’ve officially got a Big “S.” And that’s bad. That last little “S” strategy includes the provocative notion of being willing to refer a client to a competitor if the competitor could do better for the client. Yeah, suddenly things get interesting. While we all pretty much know what we should be doing to be fundamentally other-focused, actually doing those things consistently is another story. 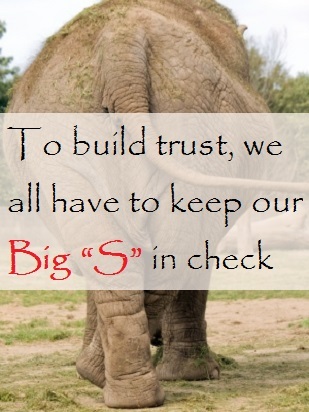 How big is your “S,” generally speaking? This week, examine your “S” from a Level 1 perspective. Observe your tendencies in a variety of interactions. What do you notice triggers you into Big “S” behaviors? 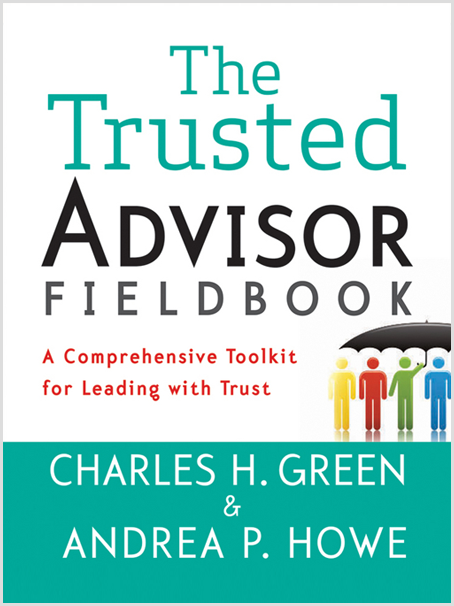 Find out what we can all learn from the used car salesperson, from our friends at Trusted Advisor Associates, or brush up on ways to decrease your “S” quickly in Chapter 21 of The Trusted Advisor Fieldbook.